Will the next year be any better? Good, better, best, one of my most popular posts using the words good, better and best – an irregular comparison and superlative! New content on Mondays. Archive links on Thursdays. Comments on archive posts may be made here for a limited time. is an expression which has to be read in context. A standard can mean a flag, which could be raised on a flagpole. A standard is also a level of performance. For instance listening to pupils reading (and helping and encouraging them) can raise the standard. Once the standard has been raised it is a good idea to keep up your standards. has become such a popular expression that most people recognise OTT. It is an expression derived from World War 1 when soldiers lived in trenches and had to go over the top to fight. Now it can mean more than what would suffice or lavish. Mind over matter is a popular expression. One’s state of mind can affect how one reacts to stimuli such as pain. is usually used for adding fuel to a fire. It can also be used about eating energy-giving foods. This is usually a metaphor, meaning I’m busy. It is often used in the present tense about a future occasion. Lighting up has several meanings. If someone is pleased or happy their face lights up. At dusk motorists have to light up for practical reasons and to obey the law. And smokers light up (usually a cigarette). Clogged up means blocked. 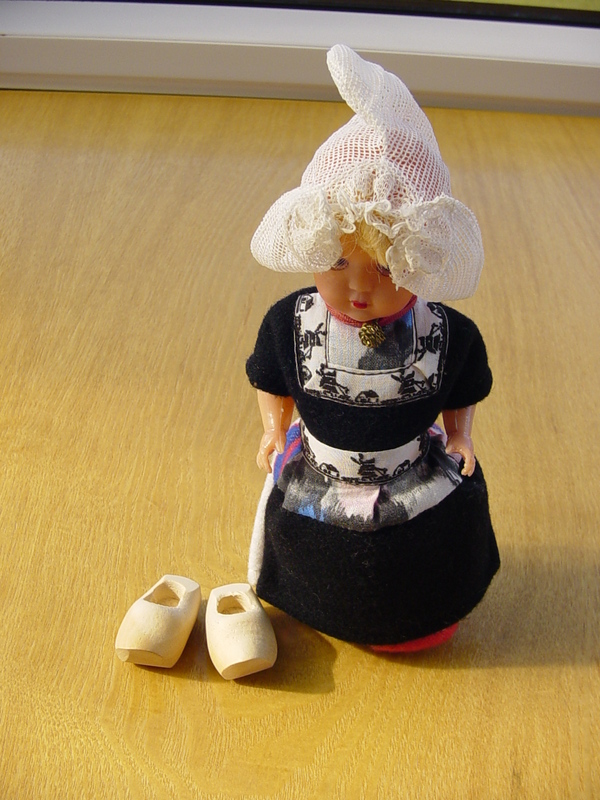 A clog is a wooden shoe of the sort which used to be popular in the Netherlands, Northern England and other parts of Europe. The word for clog in French is sabot. Sabotage clogs things up! A cover-up is usually a deliberate scheme to prevent some wrong-doing from being discovered. What’s up with you? has different meanings depending on where you live. What’s the matter with you? has the same meaning in Britain, implying that you have reacted in an unusual way to something. I gather that in North America it means What is happening where you are? Shaping up can describe a work in progress, which is beginning to look like the finished article or to a person developing new skills. What goes up must come down where there is a gravitational field. Bounce back is what a ball does when it hits the ground. It is used to describe someone’s recovery after an illness or the stock market after a dip. Fall short means not reach the target or standard. A shortfall is the difference between, say, expected profits and actual profits. Collapse in a heap is an expression often used about extreme tiredness. A heap is an untidy pile. Drop someone in it means get someone into trouble. It is probably manure! In his letter to the Church in Rome St Paul wrote “all have sinned and fall short of the glory of God”. Romans Chapter 3 verses 21-31 puts this in context and is Good News.